It is very easy to see Brexit as an abstract. EU good – Britain bad or vice versa. The same can be said about the debate over the Irish backstop – is this a cunning plan by the EU to keep Britain tied into the EU without Britain having any say about its future or not? All noise and fury. 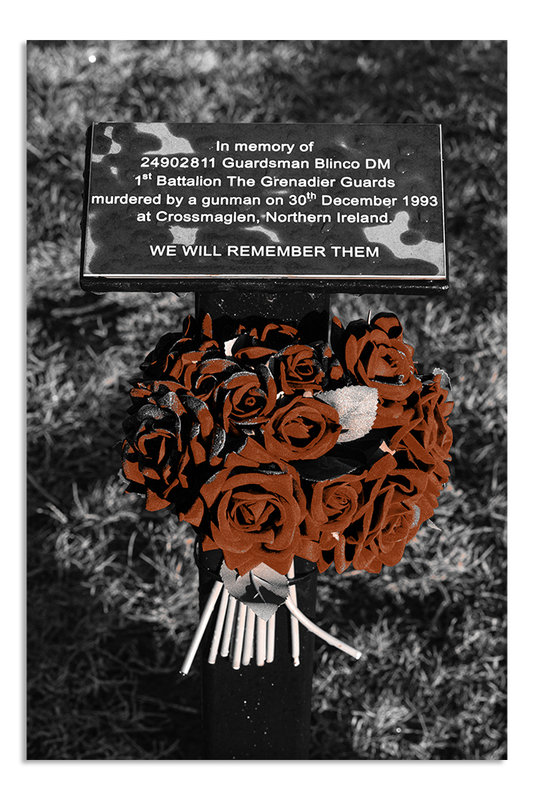 Then this morning I came across this simple memorial to one more person who died because of the problems associated with the Republic of Ireland/Northern Ireland border. Now I am not saying that leaving the EU without a deal is going to lead to a resumption of the Troubles but it certainly won’t make it less likely. I am sure that the last thing that the DUP want is such an outcome but I am not so sure that some of the more voluble Tory MP’s understand that they are potentially playing with fire. I hope for the best but sometimes I just wonder. BTW Crossmaglen is only a couple of miles from the border. This entry was posted in Brexit and tagged Brexit, European Union, Irish Backstop, Northern Ireland, Republic of Ireland, Troubles. Bookmark the permalink.